Pocket litter — what the heck is it? Posted on May 6, 2013 | Comments Off on Pocket litter — what the heck is it? Pocket litter is a term that I saw recently in a submission by someone in my writers’ critique group. In the written submission, the writer was talking about pocket litter in the context of pet euthanasia. This is her area of specialty, and she was relating some personal experiences. In her story, pocket litter referred to items people bring with them when it is time to put their pet down. It may be a favorite toy, a collar and even a dog dish, etc. This is one definition of pocket litter that I had never heard. We all know that lint in the pocket is common in most pants. This lint can be composed of small pieces of paper, bits of fabric and tissue scraps. There are some other definitions of similar terms too. 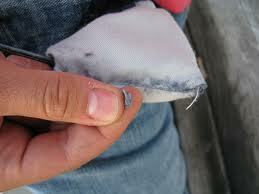 It seems many years ago, when orphans had to resort to picking pockets, they used pocket lint. If they found no money in a pocket, they leave a small amount of lint to let people know they existed. A more obscure meaning for pocket-lint is when it refers to marijuana or weed. Comments Off on Pocket litter — what the heck is it?